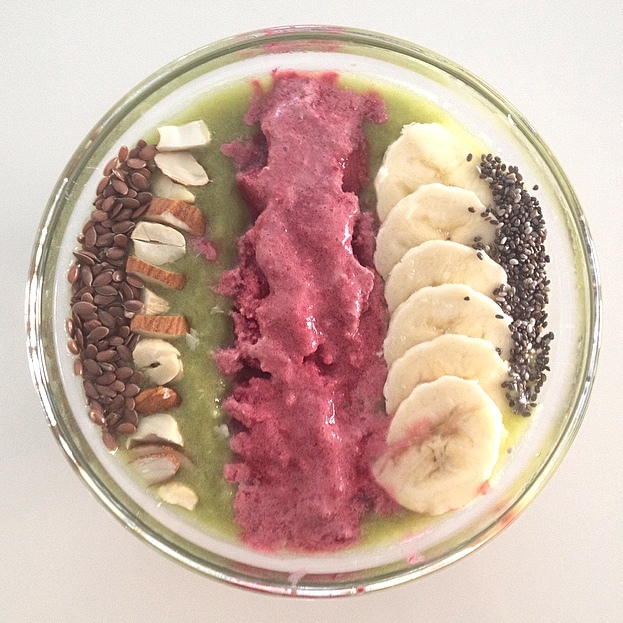 Today I want to share with you a few power bowls, they are quite popular amongst vegans especially. It's a thicker smoothie made out of fruits and vegetables, usually including some superfoods. They are aesthetically pleasing and aren't complicated, since you just have to clean your fruits and blend it up, however toping them can be a little time consuming. It's something I've been trying out and really love, it's very filling and a great breakfast. If you use some frozen fruits they come out like an ice cream, which is so delicious. I don't use a recipe, mostly try to think of combinations I love and hope for the best, however you can also find a lot of recipes on Pinterest or Google. 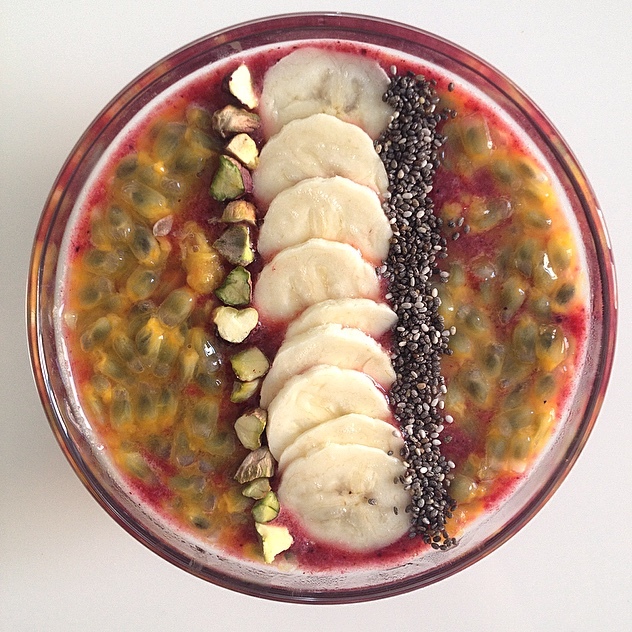 Acai smoothie: acai, blueberries, banana, apples, cherries and mango toped with passion fruit, pistachio, banana and chia seeds. 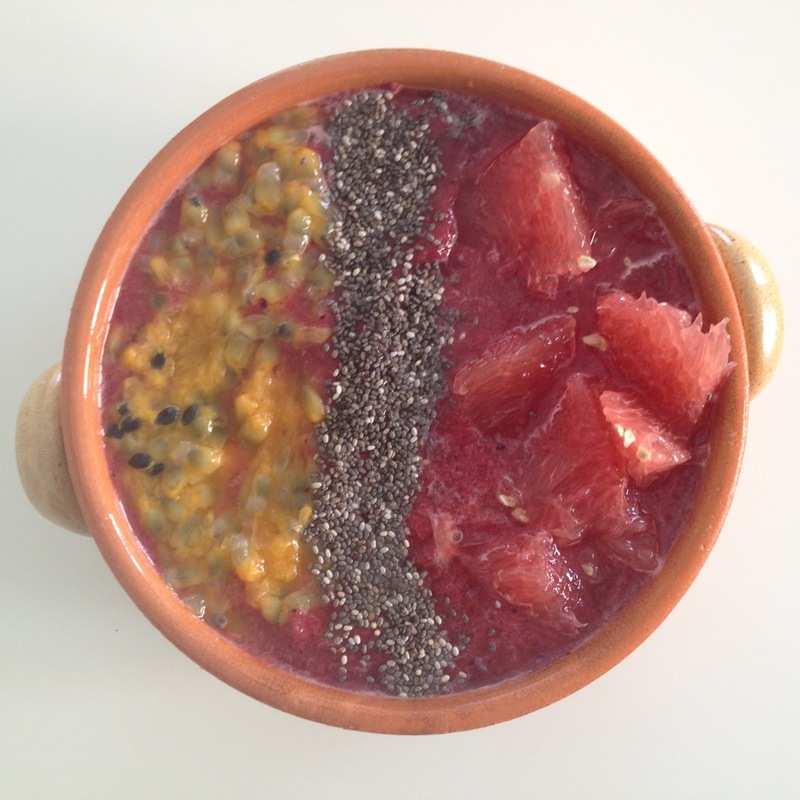 Tropical smoothie : mango, banana, blueberries, cucumber, coconut water, and acai toped with passion fruit, chia seeds and grapefruit. Green smoothie: wheatgrass, mango, banana and pears. Pink smoothie: cherries, cinnamon, greek yogurt. toped with flaxseed, almonds, cashews, banana, chia seeds. 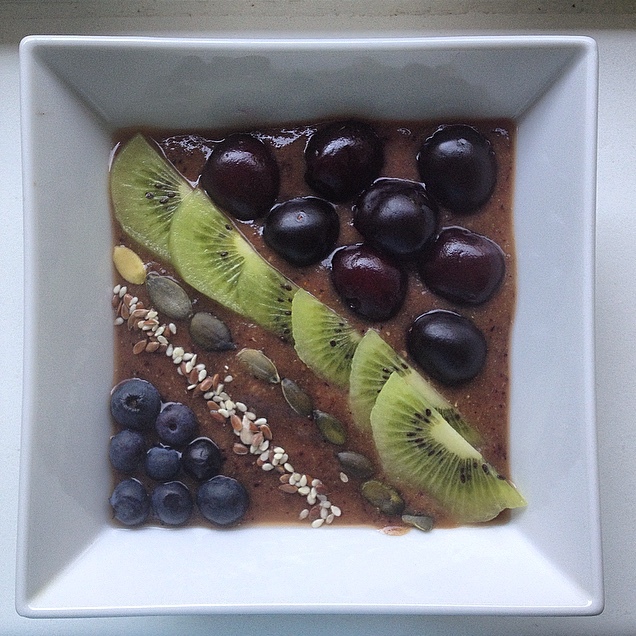 Smoothie composition : peach, broccoli, kiwi, prunes and blueberries toped with blueberries, flaxseed, sesame seeds, pumpkin seeds, kiwi, cherries. Hmmm yes please! This look amazing and healthy! Thanks, it's super healthy and yummy. Gostei muito de conhecer o seu blog, que delicia e as fotos ficarão maravilhosas. oh I love it. It looks so delicious ! I really want to try these, they look really good! Definitely give them a go ! Wow that looks awesome and refreshing for this hot weather! This is amazing! Nice post! They look yummy and beautiful too! Must try them out!! Want to follow each other via GFC and / or Facebook? !